WHAT CAN I DO IF MY FAMILY AND I ARE STRUGGLING AND WANT TO DISSOLVE ADOPTION? If you are struggling, you may find that some good parenting strategies are useful, and perhaps some lifestyle changes are needed. In many instances we find that although the child is difficult, the parenting style that has worked with other children in the home, who had good early beginnings, will not work for children from hard places. Some parents can make these adjustments, while others cannot–sometimes due to circumstances outside the parents’ control. Once the cycle begins, the parents become overwhelmed, and the child’s behavior escalates. Sometimes parents feel their only option is to dissolve adoption. Rather than make an informal re-homing arrangement, we assist with a legal, permanent, safe placement. Nightlight is now handling cases for Embraced by Grace’s Redeemed Program. Click on each line of text to expand and see more. How do we determine what is best for the child and our family? Ask yourself: am I having difficulty with the child because of negative behaviors or personality and find we have gotten into a negative cycle? Can the cycle be broken if I, as the parent, change my attitude and do not view all the child’s behavior as negative. Or is this child’s behavior so bad that my family is in danger? If a child puts your family in danger, then most likely it is time for at least having a break from each other and finding a safe place for each person. Sometimes families do not feel attached to the child. This can happen when a child is first adopted, and the family believes that with time, the feelings of affection will grow—as is often the case. Perhaps you feel that these feelings are not developing and wondering if the placement is right for the child. If a parent does not find some level of joy in the child, then the parent and child cannot bond. Other times, a family realizes that before adopting a child, the decision seemed so right; but upon having a child in the home, the experience is very different from what was expected. If you do not feel attached to the child and do not believe that you and the child can make the effort for your child heal, then it may better to consider a new family. If no progress is being made, it may be better to find a new family as soon as possible. As a practical matter, the younger the child, the easier it is to find a child another home and for the child to make a transition. Most parents who are struggling truly love the child but at times feel unattached and certainly cannot tolerate the child’s negative behaviors and attitudes. These parents want help but are unsure if the child can heal and if they as parents have the resources and wherewithal to make the placement succeed. There are many resources for families who are determined to continue parenting—even if it involves the child having more outside care, counseling, and in-home intervention. What if we are having problems but do not want to dissolve the adoption but need help and perhaps some respite care? Additional resources for parents facing a child with attachment and behavioral issues can be found on the Creating a Family website. While books and online resources may be helpful, some families may require more intensive counseling—not just for the child—but for each member of the family, which is why it is best to discuss your case with your adoption workers. In addition to the resources found at Creating a Family, there are workshops, conferences, and retreats for professionals and the parents with children who face these issues. What happens when the child must leave the home? 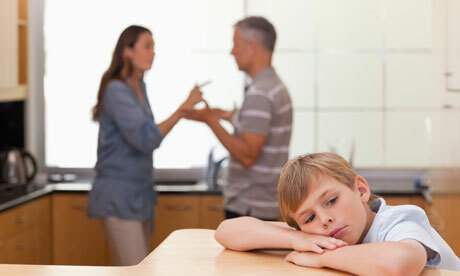 If a situation is intolerable to the child, the other children in the home, and to the parents, dissolving the adoption, although a last and often very sad solution, is sometimes an option that must be considered. In general, the process is one in which the placing legal parents complete information on the child, submit the child’s psychological, social, and medical background information for professionals at the agency to review. The agency also interviews the placing adoptive parents to determine the child’s strengths and the factors that have led to the parents’ wanting to have the child live elsewhere. The staff will also ask the placing family what type of family they seek for the child and what family constellation do they believe would be best for the child. If possible, the child will remain in the home until another family can be found. Some situations are more extreme, and the child may have to live in a therapeutic foster home, a residential school, or be in respite care until a new family can be found. Often a respite home gives us a better idea of the child’s behavior as the negative cycle can deescalate and the child gets a fresh start. Often the respite home can provide a more objective view of the child’s challenges. The child will be prepared for the next family and counseling can be offered to the placing family and child. Sometimes the parents and child have already been in counseling and the adoptive parents no longer wish to continue in counseling. Regardless of the first family’s commitment to continued therapy, the child will most likely need some counseling to help in the transition. If the child is older or has more serious medical or psychological issues, the child’s profile may be featured through various sources such as an email to a specific group of prospective adoptive parents. Of course the child’s identity will not be given and limited background information will be provided to the public. Once a seriously interested and qualified potential family is found, this family will be given all information about the child, including all medical, psychological, and educational reports as well as information from the foreign country if the child was adopted internationally. The placing family will be informed of this new family and provided details. We will encourage the families to talk with each other as well. From there a transition plan will be put into place based on the parents’ locations, the child’s situation, and legal considerations. The child’s foreign paperwork, including documentation of citizenship will also be obtained for the next family. Once a plan is in place, we highly encourage both sets of parents to proceed with an adoption and not a guardianship. Please note: A guardianship is not means to avoid going through Interstate Compact on the Placement of Child and can be illegal. Nightlight can guide you to make arrangements that are safe and legal. How are families found for children of disrupted adoptions? Finding a new family is not always easy. The adoptive families open to adopting children from a disruption often believe that they are taking greater risks than average adoptive parents adopting an older child. After all, these children have displayed behavioral problems, and these new parents are apprehensive, fearing that they may also find themselves in the same situation as the first adoptive family. This is simply not true. In virtually all situations in which the second family was well screened, well-educated about adoption related issues, and open to a child who may present certain challenges, the children have done very well. In fact, at Nightlight our experience is that the parents and the children adjust well. In nearly all instances, the children do not show the reported pathological problems that were noted by the first family. It is not that the first adoptive parents were wrong. Instead, the needs of the adoptive child are not a good fit for the abilities of the adoptive family. Children present different needs, and parents have different abilities. The goal of successful adoption is to find a great match between these two. How does a placing family select a new family? In general, the family that is seeking a new family for the child will have certain criteria—often the way a birth mother may have certain factors that she feels would be best for the child. Usually the first adoptive family wants a family that is different from their own, believing that the child will do better in a different type of environment. Sometimes this is true. For example, if a child is hurting younger siblings in the home, then going into a home in which there are no younger children is most likely a necessity. Finding a family for a child who has been sexually abused may mean that there can be no younger children in the home. This does not mean that there can never be younger children in the home in the future, but it is often wise for the first few years to have these children be the youngest in the family. Usually the placing family also wants a family that does not reside in the same area so that they are not likely to run into each other in town. Although this is understandable, the transition is smoother when as many aspects as possible of the child’s environment are preserved. What about the child’s history? Is the child more likely to disrupt again? Parents may have heard of children who have been in the foster care system who have gone from one home to the next and leaving each family in havoc upon each departure. Parents who are foster parents know this is a temporary situation and may enter into the arrangement with this in mind. Adopting a child from a disruption is not a “we will try it out and see if it works” arrangement. This adoption takes the commitment of the new adoptive parents to go into such an adoption because no child should have to disrupt from two homes. If the new adoptive parents feel that the situation is too uncertain, then arrangements can be made for the child to transition incrementally to the new home. Expecting failure, however, can lead to failure—if the first family tries to sabotage the adoption and if the second adoptive family is not committed. One placing family shared their paradoxical hopes: that the child would do well, but also that the placement would failure—meaning that it would show how many issues that the child really had. Such mixed feelings are understandable. No one wants to think that they are a “bad” parent. Having limited resources does not make someone a bad parent. Just as we honor birth parents who make the hard decision to place an infant for adoption knowing that the timing is not good to parent a child, so we also want to show respect to those who sometimes have to make the hard decision that their family circumstances are not best for the child whom they have adopted. Although adopting a child from a disrupted adoption may seem frightening, parents entering into these adoptions actually know more about the child then most parents adopting children from other countries. Parents may be frightened by the “known” problems such as a history of sexual abuse. But many children are sexually abused in their original countries, and it may take years before the adoptive family knows of this. In other words, the new adoptive family has the advantage of more knowledge. What must the placing parents do get their child ready for adoption? Before any family decides that their home is not the right place for a child, we first require that the family have the child assessed by a therapist. This provides a clearer picture of what issues or diagnosis the child may have and the issues that need to be faced. This helps us in determining the best type of family to parent the child. Also, a child background report will be done. This can be shared with other agencies if you so desire. What does Nightlight provide to families seeking to find a new home for children? Families complete an intake and consent form so that we can determine some of the most pressing issues. We ask that the family speak with one of our professional adoption educators/advisors or counselors for at least one hour to discuss the problems and challenges they and the child face and what steps could be taken to assist the family and child. Before we can find a new family for a child, we must know as much as we can about the child, including the child’s genetic background, history before the adoption, the child’s medical history and status, school records, and behaviors and any other diagnosis or issues the child has had. We know that that input from the placing family is important and ask preferences regarding religion, location, or other factors that the parents believe would be best for the child.i. Although we seek to honor the type of a family in which the child can be placed, we have talked with families in which the limits were so stringent that it was almost impossible to find a family. As a Christian agency, many of our families who place want the child to be placed in an Evangelical Christian family. We want to honor this desire.ii. If the child is older or has more profound issues, it may be more difficult to honor the request for the type of family the parents may be seeking. Once we have information on the child, we seek to find an appropriate family for the child. This can take a few weeks or months depending upon the child’s issues and the criteria set for the new family. Nightlight believes it is essential that a new family be well-prepared. The family must be home study approved and have adequate education to care for a child who has issues. We will assess the family’s credentials and provide education and resources as needed. We will coordinate communication with the potential adoptive family to share information about the child’s needs and issues so that the next family is comfortable. When a adopting a child from a disruption/dissolution, the new adopting parents can take the tax credit. The IRS regulations applied to domestic adoptions are also applied in these situations. Who may not be able to place a child for adoption? If you have been charged with abuse or neglect, you may not be permitted to place the child for adoption until the charges are cleared. If the child was not adopted from a foreign country, state law may not allow the guardianship parents to place the children for adoption with another family. A court decision would have to be made regarding this matter. Are you seeking to adopt a child from disrupted/dissolved adoption? If you are considering a child from such a situation, you must prepare yourself for the adoption of a child who is has had a number of losses. Nearly all the children placed through this program are from other countries and were adopted internationally. Adopting through the ReNewed Hope program is not unlike adopting a child from the foster care system, who may have been with biological parents, then in a group home (orphanage), and then with foster parents. Good adoption education regarding attachment issues, transitioning a child from one home to another, and how to parent a child with behavioral and emotional issues is necessary to receive such a child into your home. Because Nightlight will gather information on the child, you will receive additional information than the placing family received when they adopted from another country. You will also receive any evaluations conducted here in the U.S. as well as school and medical records. In other words, you will have the advantage of a fuller understanding of the child then the first family had. Also, some first adoptive families have truly worked with the child so that the child understands more fully what it is like to be in a family. In addition, the first family made the arrangements to adopt the child, traveled to get the child, brought the child into a family, helped the child learn English, loved and cared for the child, and then realized that their family is not the right match for the child. In one situation, a family truly loved their adopted daughter but could not parent her together with her biological brother as their relationship caused further emotional trauma to both of them. Placing parents can be good-willed people with limited resources and know that a child needs a different type of family. You will need to have a completed home study. This home study needs to approve you for the age child/ren you are seeking to adopt. As discussed, the home study must address your preparation for a child from a disrupted/dissolved adoption. You must be willing to take part in the transition of the child to your home. How a child transitions to your home varies depending upon the child and the circumstances in the child’s first adoptive home. Some children need to be removed more quickly as the situation is deteriorating; other children are more slowly transitioned so that the child can adjust to their new family home. Logistics also play a role. If you live in on the East Coast and the placing family lives on the West Coast, then you will most likely go to the child’s state and stay there until all approval is given to take the child home with you. Please see the Adoptive parent overview linked above. If a family is seeking to end an adoption, we do not provide foster-care services between families, although respite care is sometimes provided on a case-by-case basis. Also, if a family decides to adopt a child from a disrupted/dissolved adoption, and for some reason the new adopting family changes their minds, we do not provide foster-care. We want our families to enter into this arrangement with the intention of adoption. Sometimes it is uncertain if a placement is appropriate and families decide to sign a guardianship placement agreement. Or a family desires to place a child with a new family very quickly and does not want to go through Interstate Compact on the Placement of Children (ICPC), and to avoid this they give guardianship to the new family and then make adoption arrangements. This is illegal, and whether a child is placed through a guardianship or adoption, the child being placed with another family must be approved by ICPC. Sometimes a temporary respite home can be available and the services of ICPC may not be appropriate in that situation. However, once an adoption is ready to take place, and a child has or is moving from one state to another, ICPC must be involved. Although there may be the rare situation in which a guardianship may be appropriate, we believe this should not be the norm and is not in the best interest of the child or either family and can be risky for all. We do not provide legal services to finalize an adoption. In some states, this must be made with an attorney in your state of residence or in the state where the child resided. The Nightlight staff can assist you in obtaining an attorney, if necessary, to conduct such an adoption.